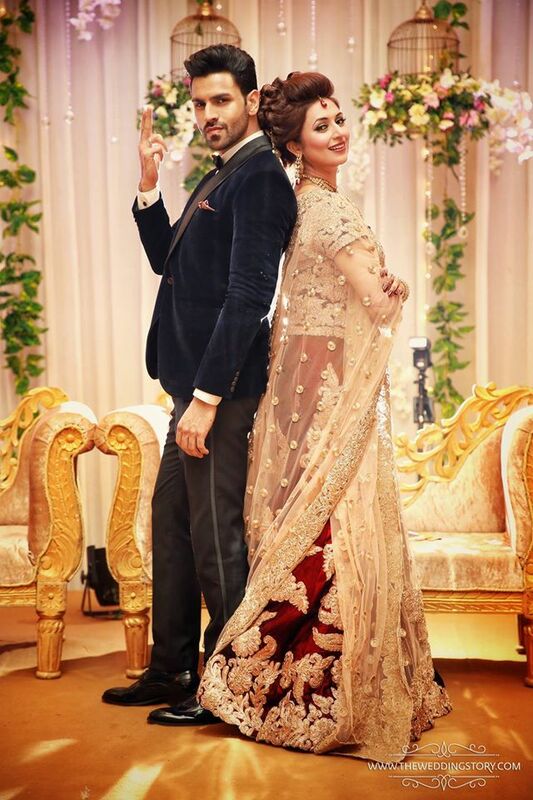 I already covered the Divyanka Tripathi-Vivek Dahiya Wedding in detail and now I bring to you all the juicy details from their wedding receptions. I say receptions, because the couple had two wedding receptions one in Chandigarh with family and one in Mumbai for their TV circle friends. 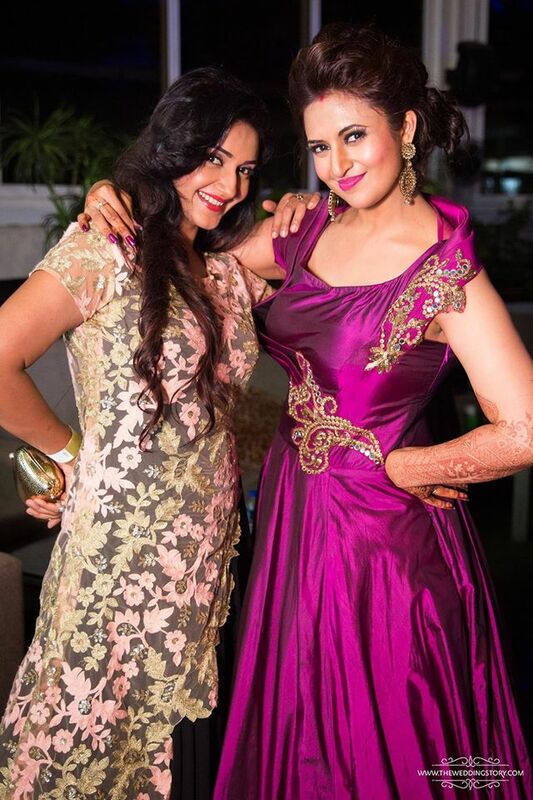 For the Chandigarh wedding reception Divyanka went indo western route wearing a wine (maroon ) and golden lehenga. Vivek looks equally smashing in a black tux with a maroon pocket square to match wifey dear. The hairdo I thought was a bit too harsh but the make up and accessories more than made up for it. I was actually surprised Divyanka chose to publicise her wedding to such lengths and not opt for a designer lehenga . 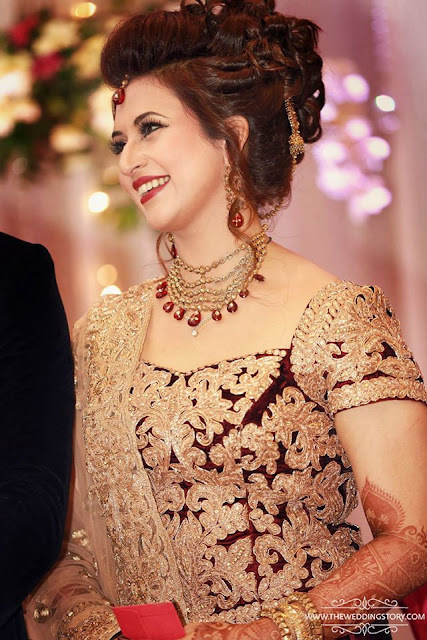 Most of Divyankas wedding wardrobe is from Kalki Fashion. At their mumbai wedding Divyanka Tripathi and Vivek Dahiya seemed to have a blast of a party with their friends from TV industry. For her second wedding reception Divyanka chose a purple gown while Vivek matched in a deep purple blazer paired with a black shirt and black trousers. I think Divyanka did a good job with her wedding wardrobe adding a variety of colours but her second reception look left me underwhelmed. The Purple gown had shiny material which did not photograph well but the bigger problem was her sleeve designing. Her styling was kept minimal with just a pair of earrings. 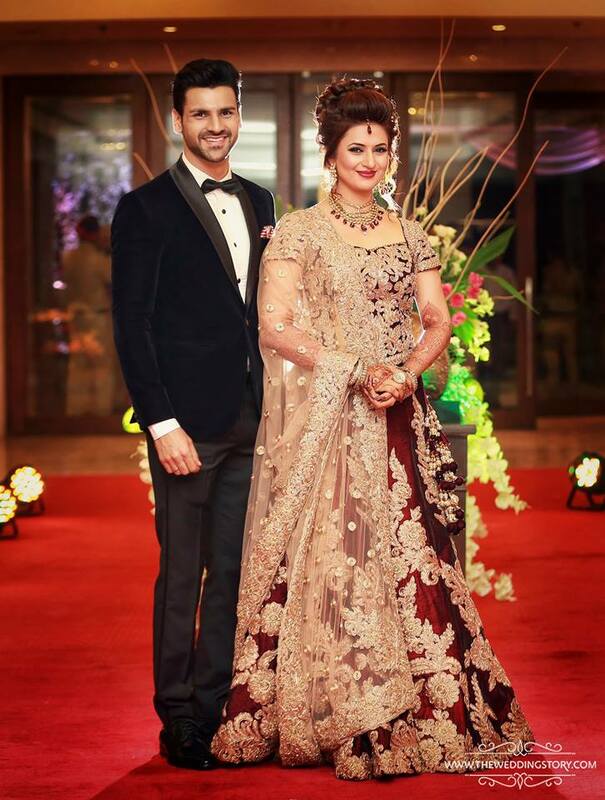 What do you think of Divyanka Tripathi-Vivek Dahiya Wedding Reception outfits? Like or love?